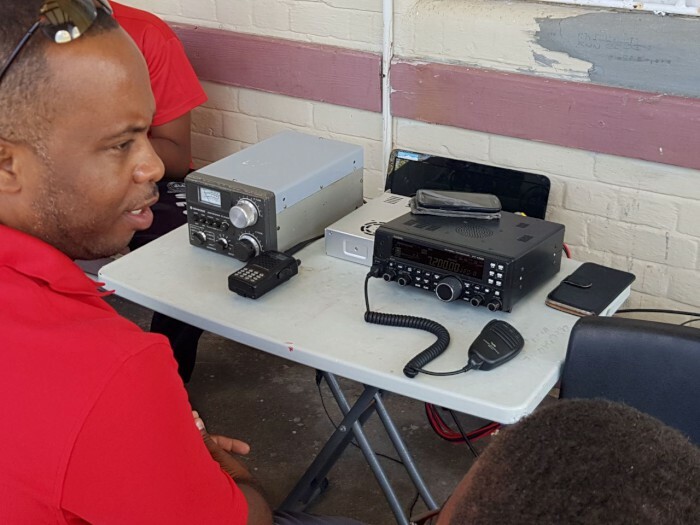 The Saint Lucia Amateur Radio Club (SLARC) celebrated World Amateur Radio Day under the theme Celebrating Amateur Radio’s contribution to society. 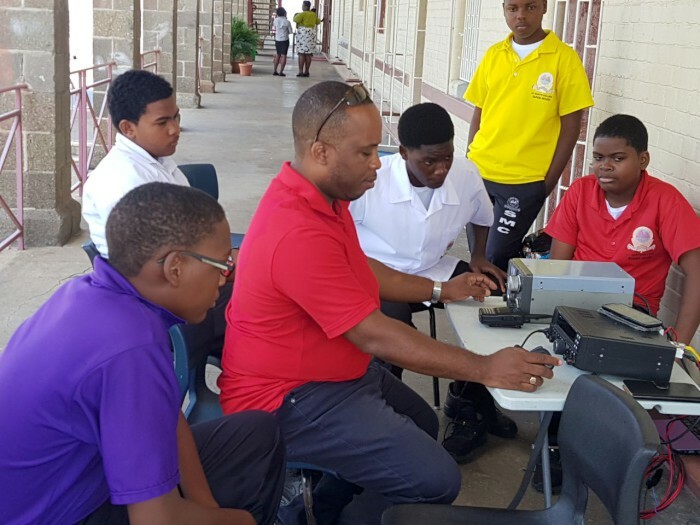 As part of this year’s celebration the SLARC decided to introduce amateur radio to a few of the secondary schools in the north and South of the island. 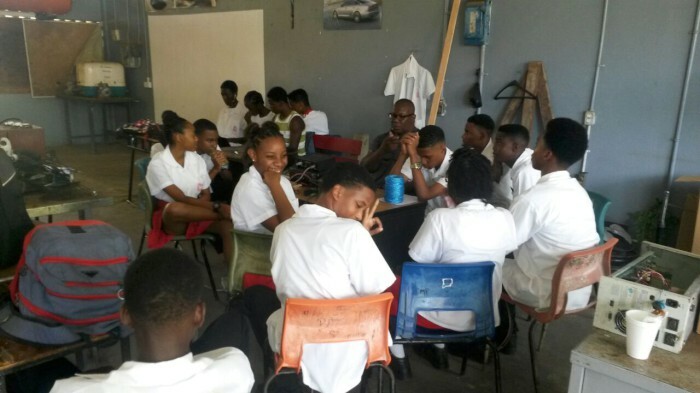 The event was well received by both the faculty and students. 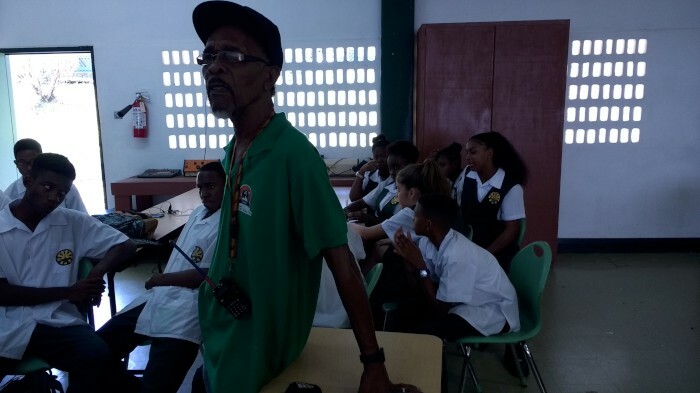 Students listened to an address from former director of ECTEL Mr. Embert Charles via the radio on this year’s theme “Celebrating Amateur Radio’s contribution to society “. 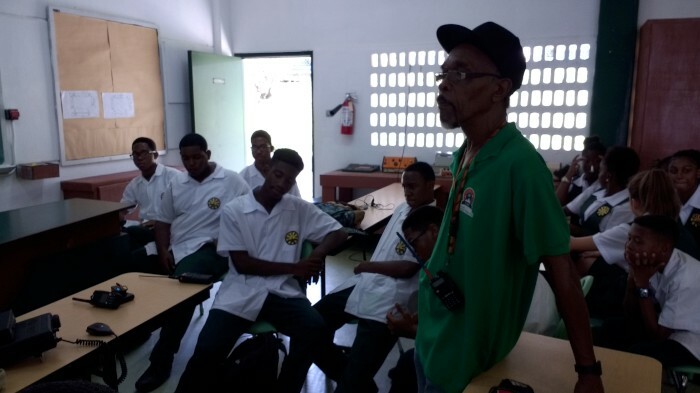 Students learned about the role amateur radio has played in the development of telecommunications and technology as a whole and also the importance of amateur radio in times of natural disasters when conventional means of communications are down. 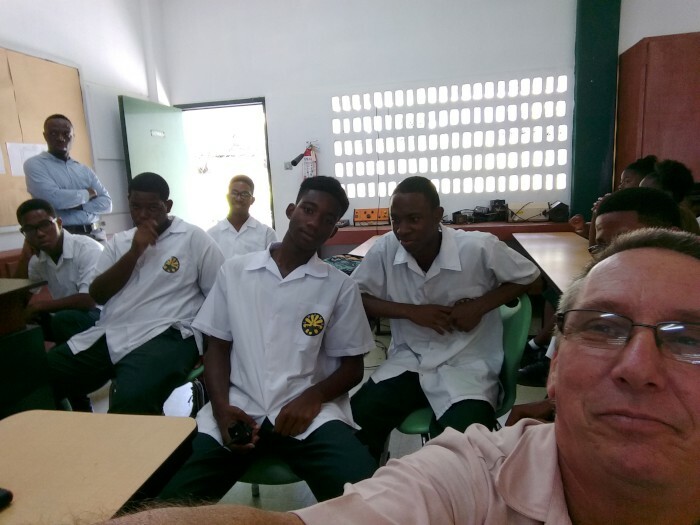 The students also got the opportunity to ask questions and these ranged from, how one becomes an operator to questions on propagation of radio waves. 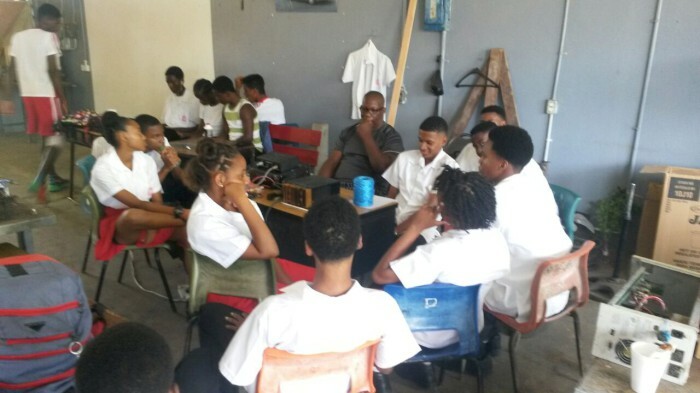 The event was very successful and as a result the schools have asked that we repeat the sessions with the students. 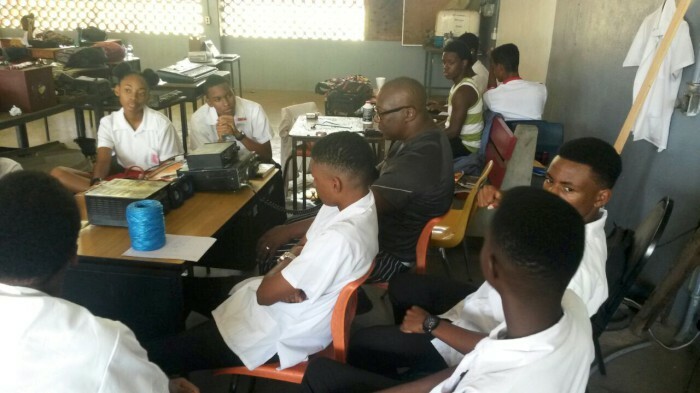 The St. Lucia Amateur Radio Club in order to continue this effort in bringing in fresh blood to the world of amateur radio will be conducting training sessions at the club’s headquarters with interested students eventually leading to a novice class license and the setup of amateur radio base stations at the schools. 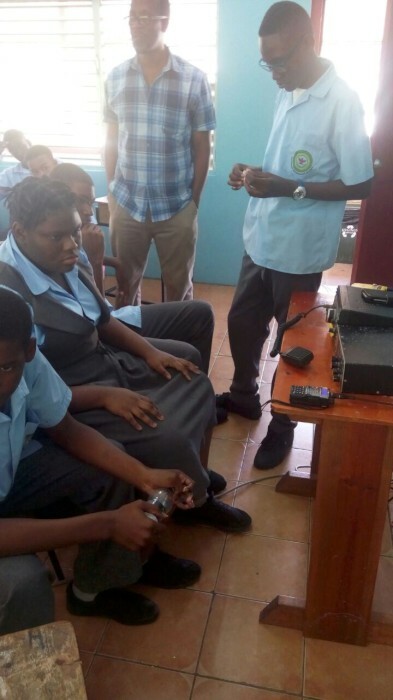 The St. Lucia Amateur Radio Club would like to thank the National Emergency Management Organization, the administrators of the various secondary schools and the HAM operators for making this day possible. 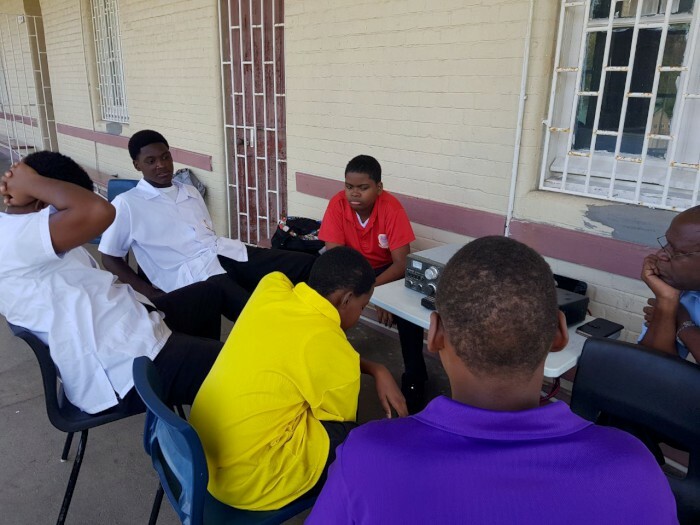 Please see some pictures below of the day’s activities at the Participating schools: St. Mary’s College, St. Joseph’s Convent, Castries Comprehensive, Leon Hess Comprehensive, the Entrepot Secondary, Anse Ger Combined, and the Vieux Fort comprehensive. 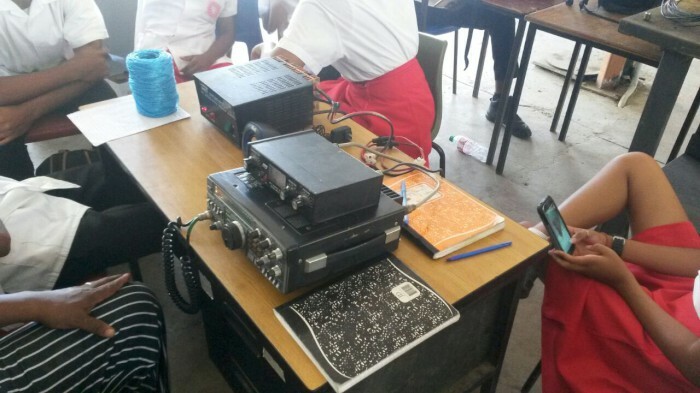 World Amateur Radio Day will mark yet another year for the Saint Lucia Amateur Radio Club. 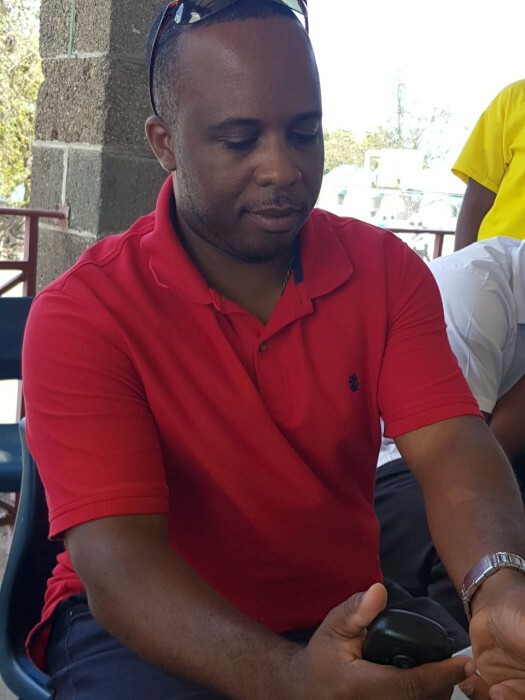 We will be celebrating by holding an exhibition/Field Day Exercise in the Town of Vieux Fort in the South of the island on Saturday 16th April 2016. The plan is to be on site by 8 am and be setup by 9 Am with at least 2 stations and hopefully three stations. We will have radio equipment on display and good eats and drinks of course. 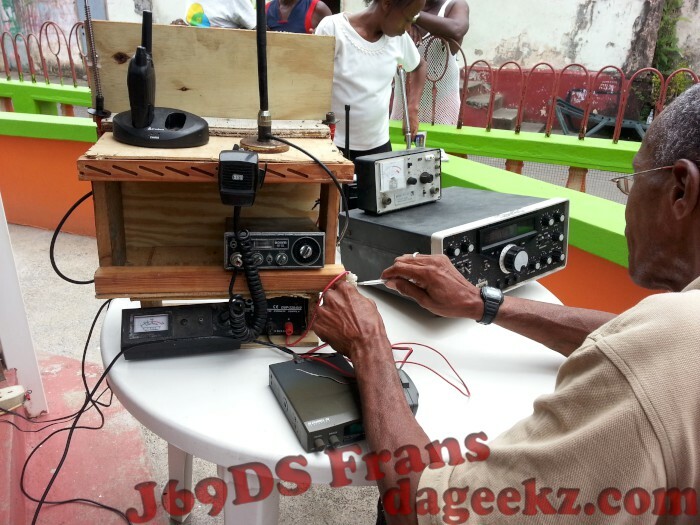 We invite all amateur radio operators to join us in the fun, We also extend an invitation to everybody to come visit us there and learn about Amateur Radio. In other news, the Club will be having a extraordinary meeting re the AGM Nominations on the 23rd April, so all members of the club be so notified and please ensure you are up to date so you can exercise your franchise. 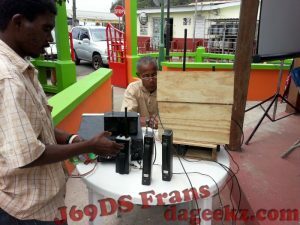 On May 2nd we will be having a Field Day/Fund Raising event at Vigie beach where we will have a few stations on the air and also a well stocked bar and we hope to see you there also! The AGM for SLARC will be held on the 14th May 2016. 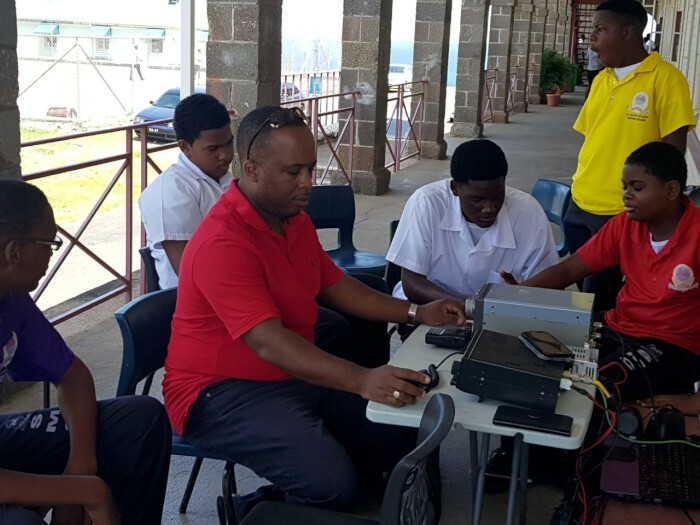 The Government of Canada will provide more than $25,000 (CDN) to the Saint Lucia Amateur Radio Club to improve Amateur Radio coverage and communication in the small Caribbean island nation in the event of a disaster. 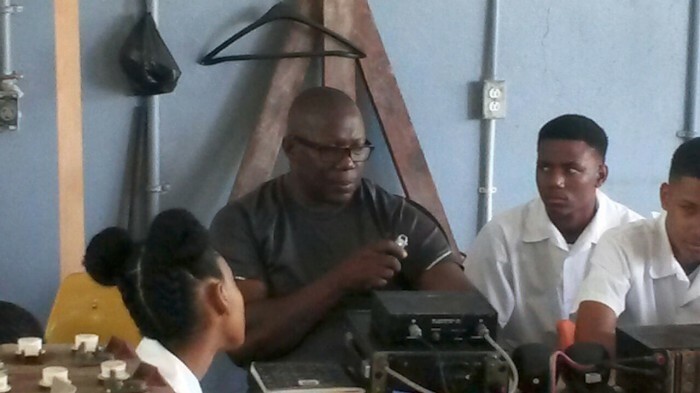 The project will install two repeater systems including solar back-up power, train 90 radio operators, and increase coverage for all of Saint Lucia’s 18 districts. “Rising sea levels, coastal erosion, and an escalation in the frequency and intensity of tropical storms and hurricanes threaten homes and businesses across the Caribbean. 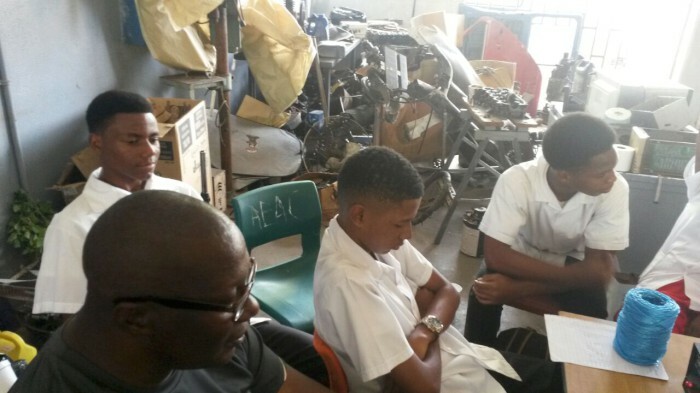 These situations can have a significant negative impact on sustainable economic growth and result in loss of life,” the Canadian Government said in announcing the grant. 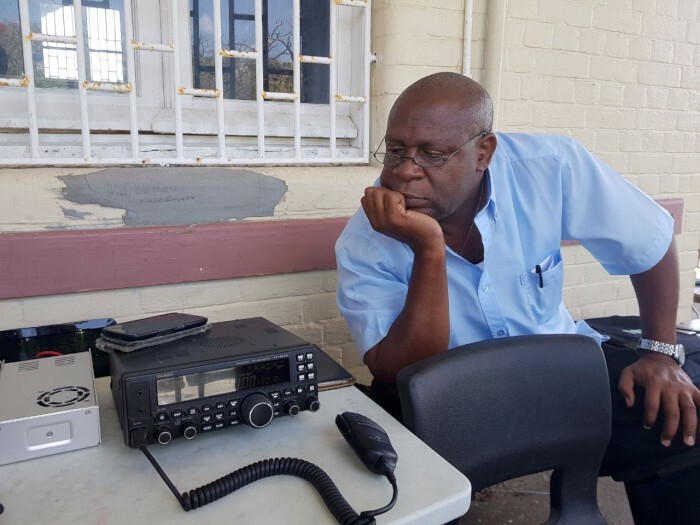 According to the announcement, the Saint Lucia Amateur Radio Club repeater system will provide enhanced two-way communication during normal and disaster conditions, allowing for Amateur Radio coverage in all communities — and especially in known high-risk areas. 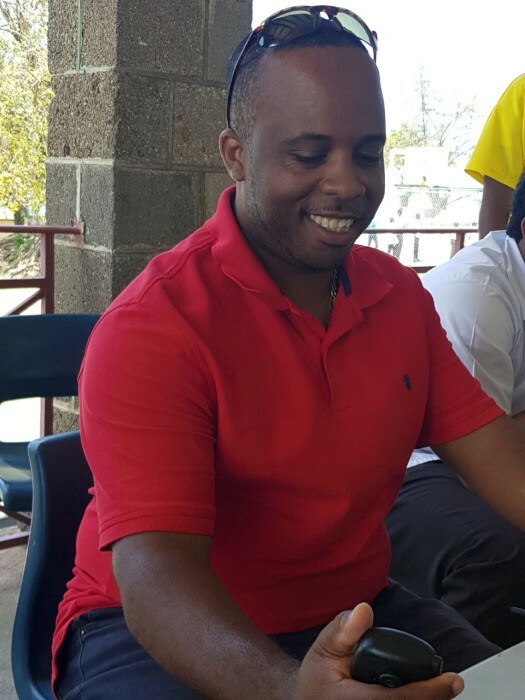 “The project will ensure that, in future hazard events, reliable and accurate information can be passed from communities to response teams, leading to more timely and effective assistance to those communities,” the announcement said. Hi All the next club meeting will on Novemeber first 2014 at the Red Cross building at Vigie! the Annual General Meeting will be on Saturday, 05 April 2014. All members plan now for that day so we can start on time! Let all hams and radio operators know.